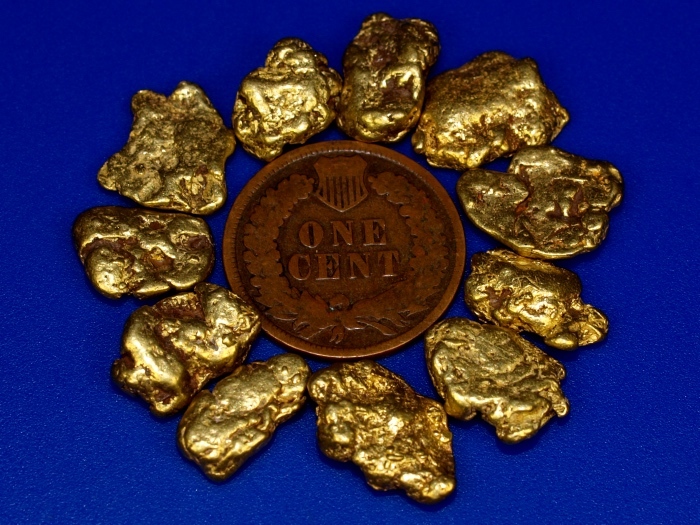 This listing is for one gold nugget chosen at random and priced at $125. 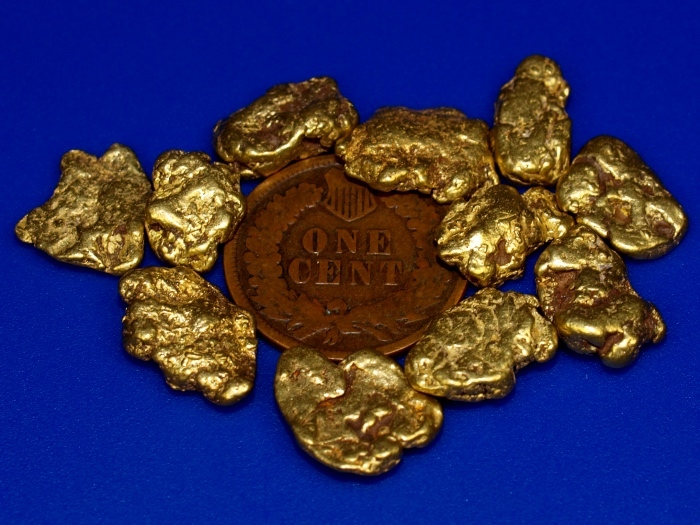 The gold nuggets are from Fairbanks, Alaska. 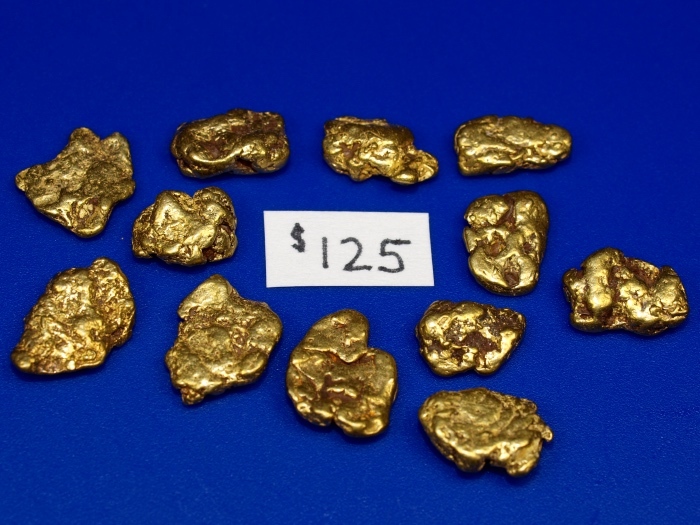 Each $125 gold nugget will be very similar to the ones in these pictures, but not necessarily the same as the ones pictured. I will pick one nugget at random from my collection. 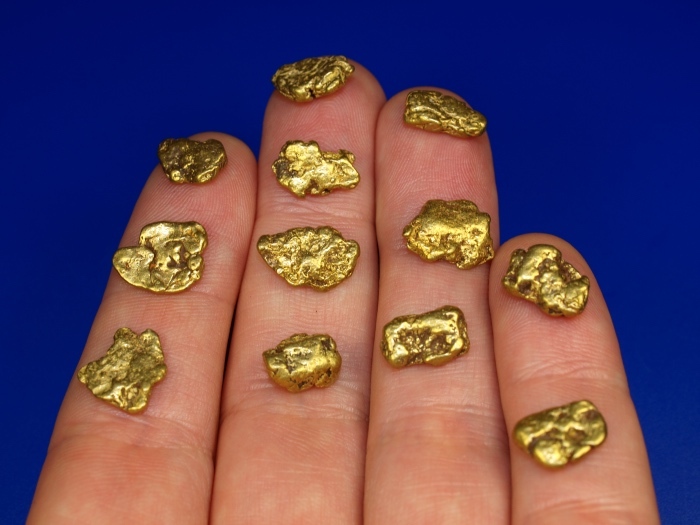 These will be clean, high-purity gold nuggets with no quartz. Each nugget will be chosen at random and weigh between 1.75 and 2.25 grams each. Each nugget will come with a display case and include free shipping to your door in the USA. 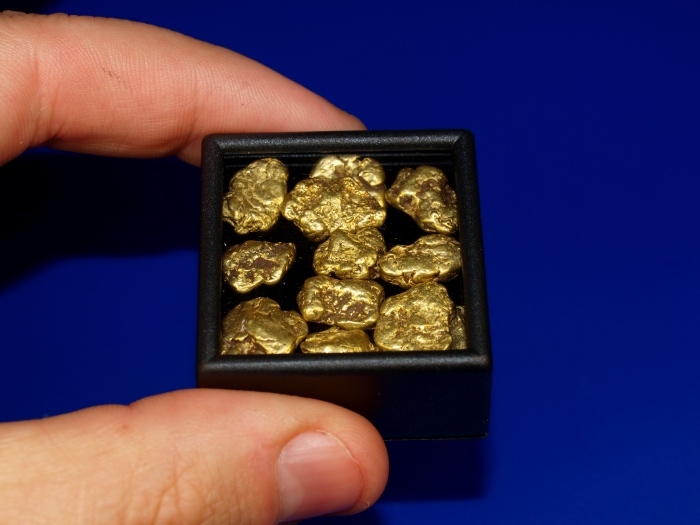 I am listing these nuggets this way to give buyers the opportunity to buy some gold nuggets at a lower price point, since most of the gold we sell starts at a few hundred dollars and up. I don't make enough profit on these small nuggets to individually take pictures of each $100 nugget, which is why the pictures are examples, but not the exact nugget.